Jaime Hayon (Madrid, 1974) continues to be one of the most recognized Spanish designers on the international panorama. The Gardenias Collection is the second grand one for BD and has thrived on the same virtues as the first. It has quality, personality, elegance, the right point of romanticism and lots of versatility, just right for the home as well as contract. The Gardenias adds now a side table carrying his distinct hallmark. 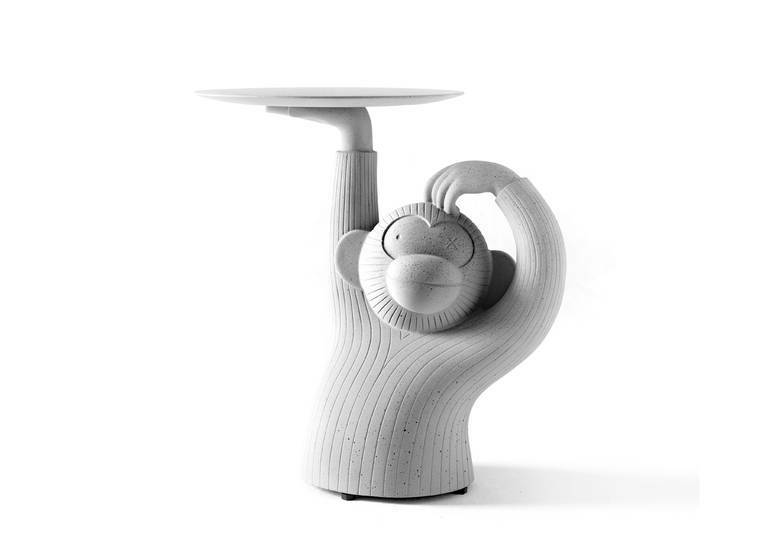 The Monkey side table is a useful sculpture. Made of solid architectural concrete for indoor and outdoor use.